Kirill Tatarinov was replaced by David J. Henshall as C.E.O of Citrix on July 10, 2017. 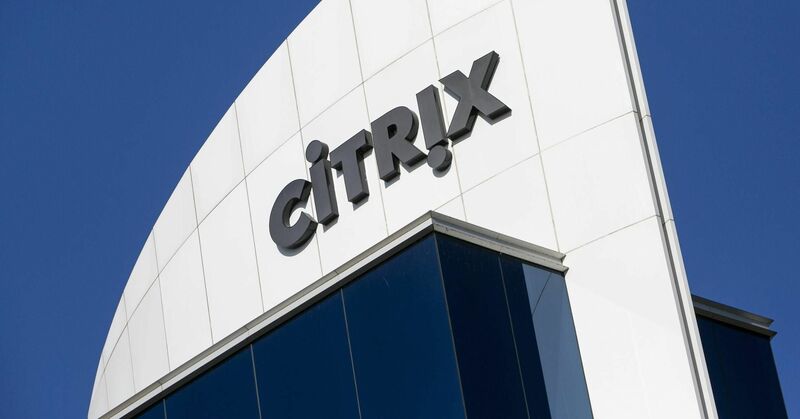 In an unexpected move, the Citrix board has announced yesterday the immediate “mutual” termination of its current leader Kirill Tatarinov and the appointment of David J. Henshall as President and Chief Executive Officer. Citrix gave no additional details about the reasons behind the management change, but we could get more insights about this decision with the Q2 financial results scheduled on August 2. Tatarinov only tweeted a short message following the announcement wishing the best for the software giant. Today, I am stepping down as CEO @citrix. Proud of what we achieved & confident in their future. Amazing turnaround. Onwards! Before starting, I’d like to thank Tatarinov and wish him the best for his upcoming projects. I am confident he will be able to find another executive position quickly. Tatarinov was appointed C.E.O. and board member at Citrix on January 2016—only 18 months ago—and was previously an executive at Microsoft before being fired by its C.E.O. Satya Nadella. Upon joining Citrix, Tatarinov had the difficult task to save a faltering company following Mark Templeton’s retirement. Under a year and half of his leadership, Citrix acquired Norskale (Sept. 2016) and Unidesk (Jan. 2017). The company also got rid of all its GoTo product line (GoToMeeting, GoToWebinar, GoToWebcast, GoToTraining, GoToAssist and GoToMyPC) in February 2017, mostly under the pressure of Elliott Management hedge fund. Despite his successes with pushing Citrix forward, Tatarinov failed to make Citrix attractive and innovative again—at least not as fast as the board expected. The poor reception of latest announcements (Citrix Workspace, Citrix Analytics, etc.) by its customers and the general lack of excitement during the last Synergy, with a message completely disconnected from the needs of its base customers, seems to have sparked the need from the board to create a change at Citrix. They could also have felt that the revenues were not increasing fast enough or that the Cloud strategy led by Tatarinov was not working. For the community, the separation between Citrix and Tatarinov is a surprise and will likely mean a few tumultuous months for the company moving forward. Most of us were not excited with what Tatarinov was doing, but we were pleased by the relative serenity around Citrix following years of turbulence. However, it is clear that Tatarinov did not have the “aura” of a Templeton, who was passionate and knowledgeable on all things Citrix. Except for the last few months of his time at Citrix, Tatarinov was a ghost for the community—barely interacting with it as he seemed to prefer the business side of the job. As a comparison with Microsoft, Citrix has had more CEOs in 2 years (4) than the Redmond giant in 42 years (3). POLL: #Citrix replacing @KirillTatarinov with David Henshall after only 18 months as CEO is.. But let’s go back to the new C.E.O. Who is he? David J. Henshall, a Citrite since 2003 and previously Citrix’s Chief Financial Officer and Chief Operating Officer, has become CEO effective immediately. According to Citrix, this move will help the company refocus and make Cloud based-subscription services profitable in order to return capital to shareholders. The board is now looking to make quick bucks for the investors and could potentially make new operational cuts (read: jobs) and pursue with the sale of the company. “David is a proven leader who knows our company inside and out, and the board has the utmost confidence in him,” said Robert Calderoni, executive chairman of the Citrix board. “Moving forward, the board believes that accelerating our cloud transformation will position the company for even greater success in the years ahead, driving greater value for our shareholders. We now have the right team in place to execute on that vision,” said Citrix. It is curious that the Citrix board decided to put a finance guy to lead its innovation after only a little more than a year with a new C.E.O. who was supposed to be “the right person to oversee Citrix’s innovation and growth strategy.” We will have to wait to see the real reason behind that move. The good news is that Henshall is an insider with almost 15 years of experience and he knows Citrix business and the company unique culture. Templeton is certainly not pleased with the situation at Citrix and does not enjoy seeing the fall of his successor. He is, however, excited by the nomination of Henshall, whom he thinks is the “perfect choice” for the job. Thumbs up to Brian Madden who already put Henshall in his short list of candidates for the C.E.O. spot when Mark initially announced he would retire back in 2014. It only took 3 more years for Brian’s vision to come true. This not the first time that Henshall is appointed C.E.O of Citrix. In 2013, Templeton took a temporary leave of absence to heal a loss in his family and Henshall covered for him until he came back in early 2014. Why would Citrix appoint Henshall now and not back in 2016 when they decided to go with Tatarinov? What has changed since 2016 to make this choice an obvious one? To temporarily replace Henshall, Mark Coyle who was until now Senior Vice President for finance, will serve as CFO while Citrix is looking for a full-time replacement. Even with Citrix trying to comfort its investors by saying in the press release that the company will meet the financial expectations this quarters, Citrix shares dropped nearly 4% to $77 in after-hours trading on Monday. The Citrix community, CitrixGuru readers and fellow CTPs all want Citrix to succeed and hope that Citrix will not be sold and lose its unique culture. Good luck to you Henshall, we are all with you!